Set of hanging hardware with a vapor recovery line adapter of Husky Corporation. By determining that Onboard Refueling Vapor Recovery (ORVR) systems are widespread in the United States highway vehicle fleet, the EPA last year took action many in the gasoline service station industry have anticipated for some time. The EPA essentially reduced its regulatory burden on the industry when it declared ORVR systems are effective at capturing vapors evacuated from the gasoline tank before reaching the pump nozzle and will soon surpass the performance of Stage II vapor recovery systems. Both ORVR and Stage II vapor recovery capture gas vapors when liquid gasoline is pumped into the tank. 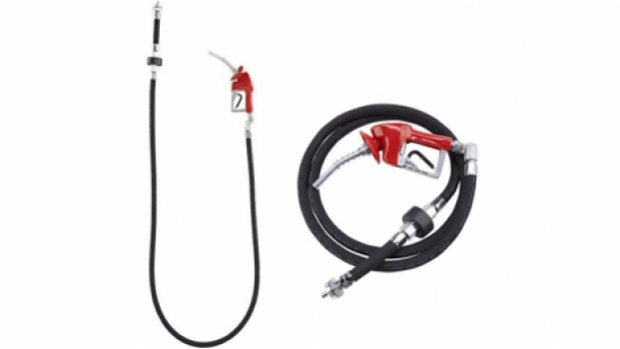 Stage II systems have been required at gasoline fueling stations since the early 1990’s in many ozone nonattainment areas to capture the gas vapors at the nozzle and carry them back to the underground storage tank at the service station. ORVR systems use carbon canisters installed in vehicles to capture the vapors when refueling and have been required in new cars, trucks and vans since 2006. “Essentially, the EPA believes vapor collection at the pump is no longer required because it is being sufficiently addressed by the ORVR systems in vehicles. So Stage II is effectively obsolete,” said Brad Baker, Executive Vice President at Husky Corporation which manufactures fuel nozzles, hoses, breakaways and accessories. The EPA said Stage II systems are increasingly less cost effective. The widespread use designation was made after EPA determined more than 75 percent of gasoline in the United States is dispensed into vehicles that have ORVR systems. The agency estimated potential national cost savings for facilities that decommission Stage II systems at more than $91 million. That amounts to recurring savings of about $3,000 per year for 30,600 dispensing facilities outside California with Stage II equipment. What does that mean for fuel marketers? That depends entirely on where they are located. There are approximately 40 ozone nonattainment areas and 13 ozone transport regions across the United States. Some states have moved quickly on the EPA’s ruling by revising plans to meet standards of the federal Clean Air Act (CAA) while allowing gasoline service stations to remove their Stage II equipment. Florida, New Hampshire, Vermont, Maine, North Carolina and Wisconsin are among states that have procedures in place permitting Stage II systems to be decommissioned. The Missouri Department of Natural Resources will allow Stage II systems to be phased out beginning March 15, 2013. Connecticut has issued a tentative general permit to allow decommissioning of Stage II systems. Many affected states are in the process of reviewing Stage II programs. New York officials have relieved Stage II requirements. 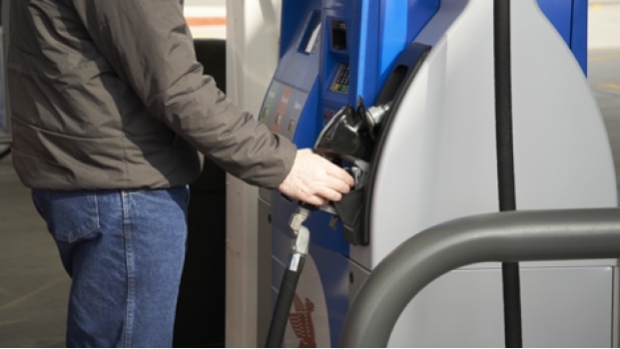 Virginia and Rhode Island allow exemptions for new and modified gas stations. Pennsylvania allows similar exemptions but has no immediate plans for repeal or revision its Stage II regulatory requirements. Texas is moving toward action that would allow decommissioning of Stage II systems to begin in late 2013. “Our current agency proposal to the Illinois Pollution Control Board (IPCB) is to stop the Stage II implementation requirements next year. The proposal (rulemaking petition) that includes Stage II decommissioning will be submitted to the IPCB soon”, wrote Jerry Clark, Stage I and Stage II Vapor Recovery Program Coordinator for the Illinois EPA in a response to an inquiry. Still other states, like Nevada and Delaware, have no intention to relax their Stage II requirements for some time to come. The California Air Resources Board (ARB) determined the guidance issued by the EPA for allowing Stage II systems to be removed does not apply because they will continue to reduce ozone emissions in California well into the next decade. The California ARB also believes Stage II systems help control Benzene exposure. Fuel marketers are advised to check for the proper process in their region. Decommissioning involves properly shutting down the Stage II equipment that collected gas vapor and transferred it to the underground storage tank until it could be collected by delivery trucks. The procedure generally involves capping off and disconnecting various Stage II components but leaves the below grade Stage II vapor piping in place. Regulations require facilities to decommission their entire existing Stage II system by following the applicable steps listed in the Petroleum Equipment Institute’s Recommended Practices for Installation and Testing of Vapor Recovery Systems at Vehicle-Fueling Sites, PE/RP300-09, Section 14, Decommissioning Stage II Vapor Recovery Piping. All Stage II hanging hardware must be replaced with conventional hanging hardware. Two types of Stage II systems are in place across the United States. Vapor Balance systems are characterized by the large bellows attached to the fuel nozzle. The somewhat cumbersome Vapor Balance system assembly creates a slight vacuum that pulls gas vapors back into the underground storage tank. The other Stage II system, Vacuum Assist, has a smaller vapor collector on the nozzle paired with a vacuum pump that pulls gas vapor back to the underground storage tank. Because Stage II systems involve flammable vapors and possibly flammable liquids, state agencies suggest fuel marketers take proper measures to understand the risk factors involved in decommissioning. Wisconsin for example considers improper decommissioning a fire safety concern subject to regulatory enforcement. There are solutions on the market that allow fuel marketers to replace their Stage II equipment and make the decommissioning project as easy as possible. “All the fuel marketer has to do is disconnect their old dispenser hose assembly and attach the new conventional hardware,” Baker said. State agencies will monitor the decommissioning process carefully. In Missouri for example, the Department of Natural Resources said it will use its enforcement discretion to guard against deviations from established decommissioning procedures. The CAA required vehicle manufacturers to phase-in ORVR systems in 1998. Since 2006 all new automobiles along with light to medium duty trucks are equipped with ORVR. The EPA said the ORVR requirement is expected to result in a significant decrease in emissions over time and will soon surpass emission reductions achieved by Stage II alone. The CAA also required many ozone non-attainment areas to adopt Stage I vapor recovery systems which apply to the gasoline distribution industry and Stage II systems which apply to service stations in the early 1990’s. The Stage I rules limiting emissions of hazardous air pollutants from gasoline distribution terminals in the United States remain in effect. Sheldon Ripson is a freelance writer, journalist and owner of R5 Communications, a consulting firm for businesses and non-profit organizations.